A Bit of Sass: Wedding Planning 101: Save The Dates from Minted.com! Wedding Planning 101: Save The Dates from Minted.com! Now that the holidays have almost come to a close it is time for me to buckle down and get serious about wedding planning. First thing is first, sending out Save The Date invitations! Since I'm in the process of designing wedding invitations on Minted, I was thrilled when they contacted me to share some of their new Save the Date invitations with you. From classic couples photos to modern prints to cheeky destination wedding inspired designs, Minted has something for every couple. 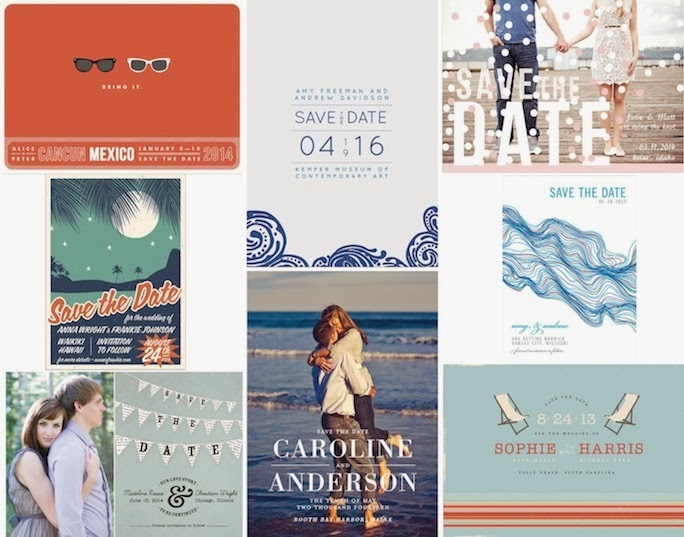 Above are just a few of the designs my fiance and I have bookmarked for our Puerto Vallarta affair. Check out all of their great designs here. These are too cute. For our wedding, we designed our own cards, but would have certainly used these had we known. Love Minted. They have the cutest designs! These save the date invitations look so cool! it is a marvelous idea.